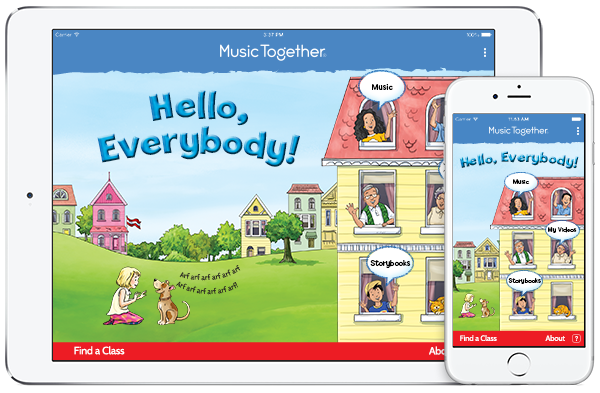 To make it as easy as possible for your family to play along with Music Together at home, families may take your Music Together songs anywhere with the Hello Everybody app and get more activity ideas on the Family Music Zone. To create an account or add a new collection of songs to the app, you will need the 15-digit access code. Starting in the fall 2018 with the Fiddle collection, access codes are inside the front cover of your songbook. Previously, access codes were on the inside front cover of your CD booklet.